The controversially patriotic online writer Zhou Xiaoping was put in the limelight after appearing at a recent symposium on literature and art chaired by Chinese President Xi Jinping, who encouraged Zhou to "spread more positive energy" when he shook hands with him. However, in cyberspace, as well as gaining a positive reputation, Zhou has become a target of verbal abuse, criticism and sarcasm because of his articles, which are widely considered as "singing the praises" of the government and "flattering" the Communist Party of China (CPC). But in Zhou's eyes, he has never tried to glorify the government, and has just sought to refute rumors and misunderstandings about the government with facts. "Patriotism doesn't conflict with criticism, and I have never opposed being critical of the government. But contradictions do occur when it turns to insults, smears and abuse, which I cannot tolerate, and have to strike back against," argued Zhou. Thin and small, dressed all in black and wearing a pair of thick glasses, Zhou, 33, sat down for an interview with the Global Times in a coffee shop on Monday in Beijing. Apart from his Huawei smartphone, everything else he had was a foreign brand, including his Kailas jacket and La Sportiva hiking boots. "I don't think using foreign products is necessarily unpatriotic. Doing your own business well and having fewer complaints, that's what is patriotic in my opinion," he said. He has grown accustomed to being verbally attacked for being a firm defender of the Party, even though he is not a member himself. "I didn't join the CPC, not because I dislike it, but because I'd rather be a guardian and spectator of its rise outside the system," he said. In his articles, Zhou expounded on the achievements of the CPC in poverty alleviation and economic development, argued about major concerns such as food safety, property demolition and high-speed rail, and examined problems in the systems of Western countries such as the US. While some readers applauded Zhou for boosting national pride, some liberal Chinese celebrities and scholars pointed out factual mistakes, errors of logic and poor reasoning in his writing, slamming him for being a "fake" patriot. In a blog post written on Tuesday, science critic Fang Zhouzi accused Zhou of "talking rubbish" and listed 13 "mistakes" in one of his articles written in September, Dream Shattered in the United States. In the article, Zhou listed a dozen defects in the US, including high taxes and expenses coupled with low wages and poor guarantees under a "greedy" and "oppressive" system. However, citing data, Fang said the wages are not as low, nor are living costs as that high as Zhou claimed. Zhou admitted to making some errors in his writings and noted that he has now become more cautious when quoting facts and data. "I haven't gone abroad, but I have many overseas friends who usually share their experiences with me," he said, adding that he has a WeChat group of more than 200 overseas supporters. Some commentators have criticized Zhou for continually highlighting citizens' obligations but downplaying the lack of civil rights, as well as what they perceive as a tendency to attribute all criticisms and complaints against the government to the US conspiracy to exacerbate conflicts and undermine China. Zhou disagrees. "I never said the government was flawless nor that Western countries were good for nothing," he said, noting that China has gained advanced technology and valuable experience from foreign countries. In addition, he complained about the country's strict controls on the culture industry and clumsy official attempts to push patriotism. However, his complaints toward and criticisms of the government rarely appear in his articles, as he actively participates in heated debates in defense of the government. Now a founder and manager of a new publishing company in Beijing, he says he will spend more time on his main job in the future. "Writing has been a hobby," he said. "And I used to complain about the government a lot." Zhou was born in Rongxian county in Southwest China's Sichuan Province. Both parents were on government payrolls; his father was an oil drill worker and his mother a Sichuan Opera performer. The family could only offer him 6,000 yuan ($980) when he graduated from high school at the age of 17. To save money, he said he gave up the opportunity to go to college, instead opting to join the army, becoming a soldier in southern Tibet, where he repaired tanks. By chance, he learned about a book club and ended up spending his entire salary on book subscriptions. "I read books on everything from economics to computers, and became fascinated with the Internet," Zhou recalled. After his two-year service ended, he returned home and started working in the county's cultural bureau. 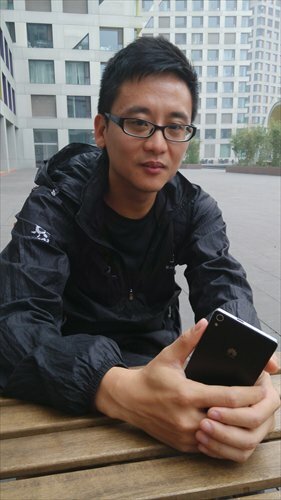 Bored of his job, which involved inspecting Internet bars and preparing tea for cadres, he quit and went to Beijing where he found a job with Sohu's online game department in 2003. That was when he became active on online forums, criticizing the national system. In 2006, he resigned from Sohu and set up his own business. He went on to found three other companies, an original music platform, an online game website and a design agency. "Since being a boss, I learned more about the difficulties involved in management. In addition to reading many historical and political books, I began to reflect and get closer to the facts," he said. Then, he changed his stance and began to try to expose lies told against the government. Some also accused him of praising the authorities in order to win benefits for his business. One document circulated on the Internet purported to contain details of an investment negotiation meeting was held between Zhou and several government officials in Chengdu, Sichuan Province, in August. Zhou said he was just one of many who were invited by the Chengdu government, which was looking to attract companies to the city's cultural industrial park. "In the end, I decided to stay in Beijing," he said. "But even if I had received favorable resources from the government due to being patriotic, I don't think there would have been anything wrong with that." The rumors and sarcasm directed his way continue, but he says he doesn't care. "I feel content that my writings have already inspired some readers," he said. "The road is always winding forward a bright future."